Access our range of market-leading conservatories to discover the perfect solution for your project. Style and performance combine in equal measure - enabling you to build impactful and eye-catching modern or traditional designs. Contact us today, or use our design tool to generate prices. Our Ultraframe conservatories look and feel like natural extensions of a home. Whichever of our three designs you choose, you’ll benefit from an insulated pelmet that’s filled with mineral wool insulation, and which can accept the installation of lighting and speakers. The insulated pelmet instantly creates an authentic ‘room like’ feel. Homeowners will be able to turn their conservatory into a living area that’s designed for a year-round living while enjoying a thermally efficient environment that’s cost-effective to keep warm. Super-insulated columns come as standard or can be included as optional extras as part of a conservatory’s design. This feature will add a touch of modern style to any building and improve its thermal performance. Ultraframe’s super-insulated columns are aluminium cladded and can be colour-customised using one of three standard colours or two shades of white. Homeowners can choose a flat or fluted design, depending on their tastes. Large columns sit at each corner of the conservatory and are continued by a sequence of smaller inline columns. Customers who want to achieve a more traditional design can ask their installer to fit their columns on top of a dwarf wall. Find out about the options available by reading our online brochure. Information about the features and benefits of each style are available inside, and you can contact our friendly team for more information or prices by calling 01329 233500. Novaseal has two decades of experience helping homeowners and installers with their conservatory requirements. We’ll be able to find a design that meets your criteria in full and fits within the budget that you’ve set for your project – whatever its scale. Add a cornice into the design mix if you want to create improved external sightlines. A decorative cornice will hide the guttering from view, resulting in a conservatory that looks incredible from every angle. Different types of cornice can be provided to meet the specification of your project. Curved versions work with traditional builds; single tier cornices better suit small conservatories. Get in touch to find out more. Novaseal’s conservatory portfolio responds to the varying needs of homeowners. Achieve traditional or contemporary designs when you choose to work with us. Characterised by authoritative-looking super-insulated columns that are internally plastered for additional effect, this conservatory style is built with thermal efficiency in mind and designed for comfortable living. The columns work in close partnership with the conservatory’s insulated pelmet to create a room that can be used for almost any purpose and all year long. A decorative cornice completes the stunning design externally. Like other entries in our Ultraframe range, this designer option comes equipped with an insulated pelmet for additional comfort – while also creating an authentic ‘room like’ feel that makes the conservatory look and perform like an extension. A decorative cornice creates pleasing external sightlines, while also complementing the grey uPVC double glazing units that sit on top of the dwarf wall. Masonry can be substituted for super-insulated columns, which can sit on top of the brickwork. 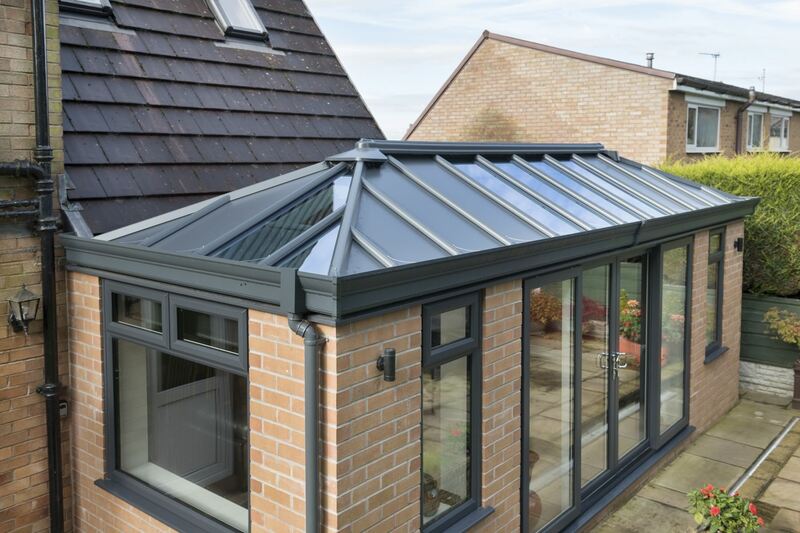 This conservatory uses the extensively glazed Classic Roof as the basis for its design. Full height glazing is used throughout the construction to maximise light penetration, and French doors can be added to complete the room’s traditional appearance. Customise your conservatory to create an individual design that will also deliver incredible performance. The Novaseal team is ready to help you with your project. Call us now on 01329 233500 or send an enquiry through our contact form. Novaseal is an accredited installer. We belong to Certass and the Which? Trusted Traders scheme. Our products are fully backed by a manufacturer’s guarantee, and you’ll be working with a family-run business that works closely with its customers. Do you need an online conservatory quote? Use our design tool to generate prices for our conservatories, doors, windows and more. You can use the app as many times as you like to get price information for your project. Novaseal is a leading supplier and manufacturer of uPVC and aluminium products. We cover Southampton, Portsmouth, West Sussex, Chichester, New Forest, Hampshire and surrounding south England areas.